The faculty of reason, rationality, or the faculty of discursive reason (in opposition to "intuitive reason") is a mental ability found in human beings and normally considered to be a definitive characteristic of human nature. It is closely associated with such human activities as language, science, art, mathematics and philosophy. Reason, like habit or intuition, is a means by which thinking comes from one idea to a related idea. But more specifically, it is the way rational beings propose and consider explanations concerning cause and effect, true and false, and what is good or bad. In contrast to reason as an abstract noun, a reason is a consideration which explains or justifies some event, phenomenon or behaviour. The ways in which human beings reason through an argument are the subject of inquiries in the field of logic. - Henry Louis Vivian Derezio was a 19th century teacher and poet. "I am not primarily an advocate of egoism, but of reason. If one recognizes the supremacy of reason and applies it consistently, all the rest follows." - Ayn Rand, Russian-American 20th century novelist and philosopher. "God help us, ma'am! Do you see what we saw? We saw that we'd been given a law to live by, a moral law, they called it, which punished those who observed it- for observing it. The more you tried to live up to it, the more you suffered; the more you cheated it, the bigger reward you got. Your honesty was like a tool left at the mercy of the next man's dishonesty. The honest ones paid, the dishonest won. How long could men stay good under this sort of a law of goodness? We were a pretty decent bunch of fellows when we started. There weren't many chiselers among us. We knew our jobs and we were proud of it and we worked for the best factory in the country, where old man Starnes hired nothing but the pick of the country's labour. Within one year under the new plan, there wasn't an honest man left among us. That was the evil, the sort of hell-horror evil that preachers used to scare you with, but you never thought to see it alive. Not that the plan encouraged a few bastards, but that it turned decent people into bastards, and there was nothing else that it could do- and it was called a moral ideal! "What was it we were supposed to want to work for? For the love of our brothers? What brothers? For the bums, the loafers, the moochers we saw all around us? ... We had no way of knowing their ability, we had no way of controlling their needs- all we knew was that we were beasts of burden struggling blindly in some sort of place that was half-hospital, half-stockyards- a place geared to nothing but disability, disaster, disease- beasts put there for the relief of whatever whoever chose to say was whichever's need. "Love of our brothers? That's when we learned to hate our brothers for the first time in our lives. We began to hate them for every meal they swallowed, for every small pleasure they enjoyed, for one man's new shirt, for another's wife's hat, for an outing with their family, for a paint job on their house- it was taken from us, it was paid for by our privations, our denials, our hunger. Rearden smiled contemptuously. "Aren't you one of those damn altruists who spends his time on a non-profit venture and risks his life merely to serve others?" "No, Mr. Rearden. I am investing my time in my own future. When we are free and have to start rebuilding from out of the ruins, I want to see the world reborn as fast as possible. If there is, then, some working capital in the right hands- in the hands of our best, our most productive men-it will save years for the rest of us and, incidentally, centuries for the history of the country. Did you ask what you meant to me? Everything I admire, everything I want to be on the day when the earth will have a place for such state of being, everything I want to deal with- even if this is the only way I can deal with you and be of use to you at present." "Because my only love, the only value I care to live for, is that which has never been loved by the world, has never won recognition or friends or defenders: human ability." Taken from the book: Atlas Shrugged by Ayn Rand, Pg 535...... finally at pg.560! about 5oo+ to go! "Why would you want it, if it's not the truth?" he asked. "What for?" "Now you see, that's the cruelty of conscentious people. You wouldn't understand it- would you?- if I answered that real devotion consists of being willing to lie, cheat and fake in order to make another person happy- to create for him the reality he wants, if he doesn't like the one that exists." "No," he said slowly, "I wouldn't understand it." "It's really very simple. If you tell a beautiful woman that she is beautiful, what have you given her? It's no more than a fact and that has cost you nothing. But if you tell an ugly woman that she is beautiful, you offer her the great homage of corrupting the concept of beauty. To love a woman for her virtues is meaningless. She's earned it, it's a payment, not a gift. But to love her for her vices is a real gift, unearned and undeserved. To love her for her vices is to defile all virtue for her sake-and that is a real tribute of love, because you sacrifice you conscience, your reason, your integrity and you invaluable self-esteem. He looked at her blankly. It sounded like some sort of monstrous corruption that precluded the possibility of wondering whether anyone could mean it; he wondered only what was the point of uttering it. "What's love, darling, if it's not self-sacrifice?" she went on lightly, in the tone of a drawing-room discussion. "What's self-sacrifice, unless one sacrifices that which is one's most precious and most important? But I don't expect you to understand it. 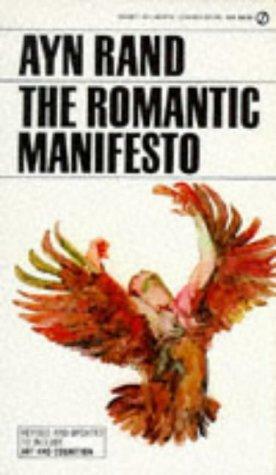 The idea was conceived and "written" by one person, Nick Newcomen, during the spring and summer of 2010. All expenses were paid entirely by him. The first step involved identifying on a map the route he would need to drive in order to spell out "Read Ayn Rand." Then he drove the route. He used a GPS logger (Qstarz BT-Q1000X) to record his "writing." He turned on the device when he wanted to write and turned off the device between letters. He then input the recorded GPS data into Google Earth resulting in the image you see above. For documentation, he video recorded himself at dozens of different landmarks along the route. Objectivism is a philosopy created by the Russian-American philosopher and novelist Ayn Rand (1905–1982). Objectivism holds that reality exists independent of consciousness, that man has direct contact with reality through sense perception, that one can attain objective knowledge from perception through the process of concept formation and inductive and deductive logic, that the proper moral purpose of one's life is the pursuit of one's own happiness or rational self-interest, that the only social system consistent with this morality is full respect for individual rights, embodied in pure laissez faire capitalism, and that the role of art in human life is to transform man's widest metaphysical ideas, by selective reproduction of reality, into a physical form—a work of art—that he can comprehend and to which he can respond emotionally. The name "Objectivism" derives from the principle that human knowledge and values are objective: they are not created by the thoughts one has, but are determined by the nature of reality, to be discovered by man's mind. 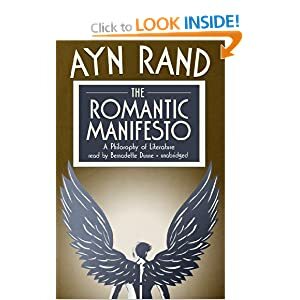 Philosophy: Ayn Rand characterized Objectivism as "a philosophy for living on earth", grounded in reality, and aimed at defining man's nature and the nature of the world in which he lives.